CHERRY HILL, NJ — Corcentric, a fast-growing provider of procurement and financial process automation solutions, today announced the acquisition of Netsend Ltd. Headquartered in London, Netsend offers electronic billing, invoicing, and document distribution services to the FTSE 100 and global blue-chip companies in over 50 different countries. The acquisition marks Corcentric’s expansion into the global e-billing market as a SaaS provider. Netsend boasts an impressive reputation with companies from the onset, which starts with an average onboarding process of 17 days to be fully operational. The company’s customer base spans industries such as financial, technology, media, pharmaceutical, retail, energy, and manufacturing. Companies use Netsend to securely send over 1.5 million documents each month and are seeing a conversion rate of 80 percent from physical documents to e-delivery. Patrick Dodd-Noble and Lee Allen, founding directors, will continue to lead Netsend’s business. Financial details of the transaction were not disclosed. Corcentric is a leading provider of procurement and finance solutions that transform how companies purchase, pay, and get paid. 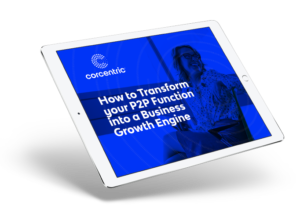 Corcentric’s procurement, accounts payable, and accounts receivable solutions empower companies to spend smarter, optimize cash flow, and drive profitability. Since 1996, more than 6,000 customers from the middle market to the Fortune 1000 have used Corcentric to reduce costs and improve working capital. Learn more at corcentric.com, or follow Corcentric on LinkedIn at https://www.linkedin.com/company/corcentric. Netsend is a global provider of secure online access to document distribution history, facilitating ease of reporting, performance analysis and proof of delivery amongst a range of other document management functions. Started in 1994 as a fax broadcast service, the e-billing service and portal was launched in 2005, which is now trusted by thousands of businesses globally operating in multiple languages in 52 countries. Businesses rely on the Netsend portal to provide audit-trail, performance analytics and direct management of invoicing exceptions.